From Goodreads: The road to heartbreak takes a lot of turns. Because when you’re in love, you don’t just stop calling one day. And you don’t keep secrets. Or lie. And when your life starts falling apart, you’re supposed to have the other person to lean on. Here are Peyton and Jace again, broken up but thrown together on a road trip. One of them is lying about the destination. One of them is pretending not to be leaving something behind. I am so excited for this one! I loved Two Way Street so can't wait for this companion novel! Let's hope for some great updates on Courtney and Jordan! For more info check out the author's website here. Ooh, yay! I loved Two Way Street! 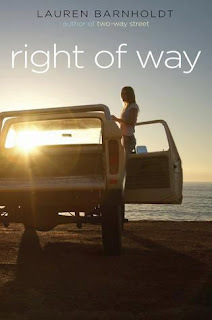 LOVED Two Way Street, really want to read this one now!